Providing the best and the most effective electrical solutions to the industrial sector of the country, V.R.Electricals has cemented its place among the major Manufacturers and Suppliers of Earthing Electrodes. 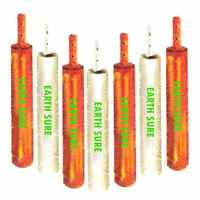 Offering the best quality Earthing Electrodes under the brand name EARTH SURE EARTHING ELECTRODES, the company caters to a national demand for these electrodes. 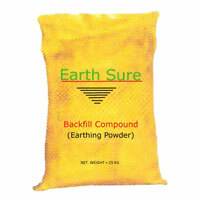 The Earthing Electrodes are known for their efficiency and durability and are quite reliable for use. The company aims at providing effective earthing solutions to almost every working industry today. The flexible nature of our manufacturing makes the Earthing Electrodes even more appealing to industries with specific requirements. The company has a team of hardworking, dynamic and experienced people who are well aware of the modern day demands and implications in the electrical industry. All in all, the extremely simple aim of delivering the best and satisfying the clients makes the company one of the highly rated entities in this domain.